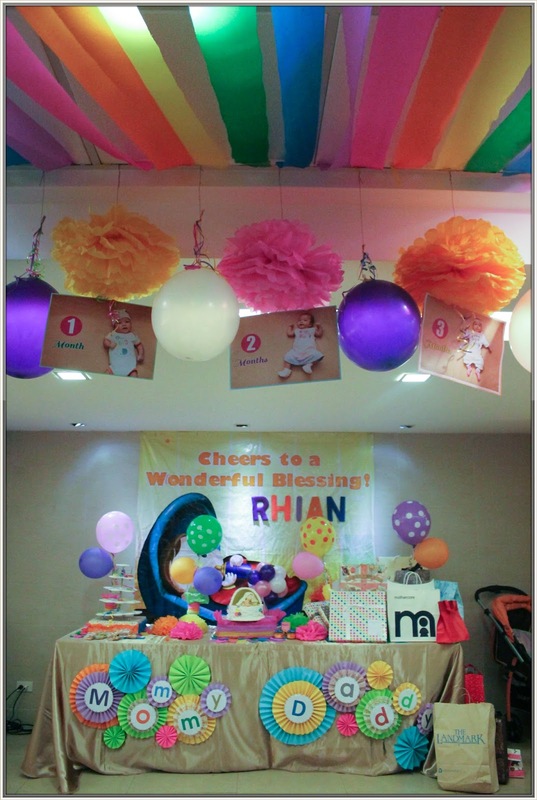 As we welcomed Rhian’s in the world of Christianity, we decided to give her a special gathering with our family and close friends. We wanted to be able to invite as much family and friends as possible, but we had to work in a budget. Sorry guy, sa 1st birthday nalang ni Rhian kami babawi sa inyo. 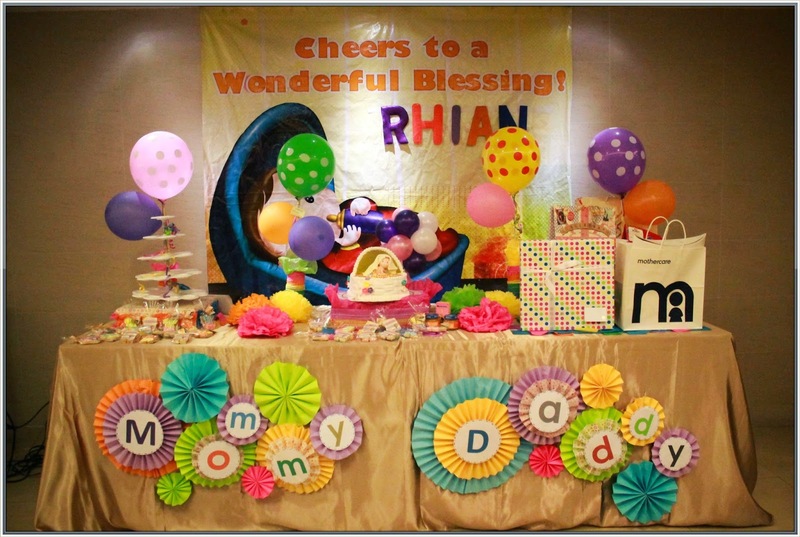 Anyway, I am a very hands-on mom who turned to an even more detailed-oriented mother because having a girl just makes everything special, meaning I want everything to be perfect for my baby’s first official event. 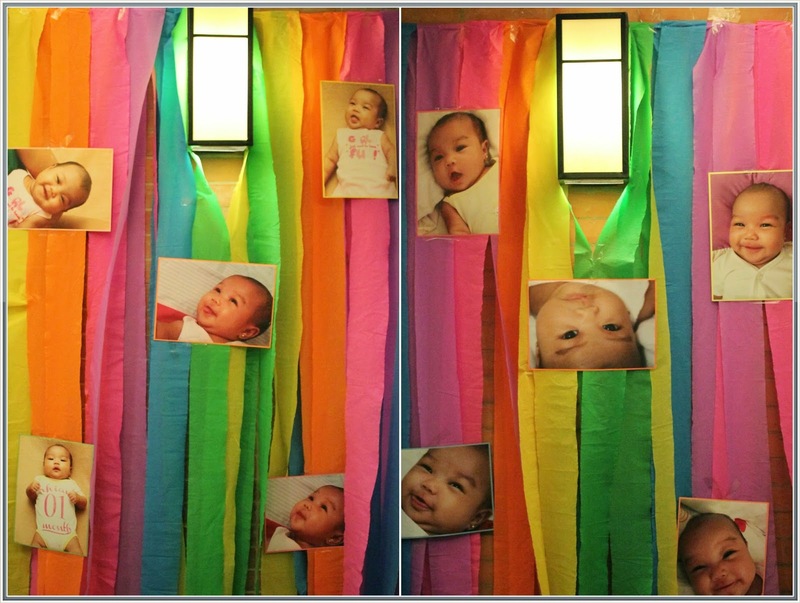 The preparations were very smooth to us since we hire a stylist; we also did a lot of DIY for the baptism like what we did from baby shower. So let me share with you our suppliers for this special event. 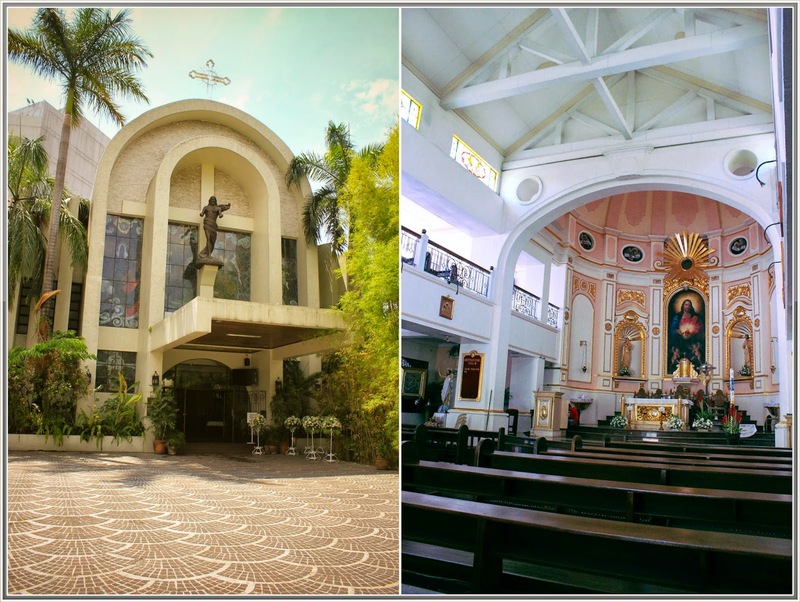 We booked at National Shrine of the Sacred Heart of Jesus in Makati; this is also where we got married last July 2012. 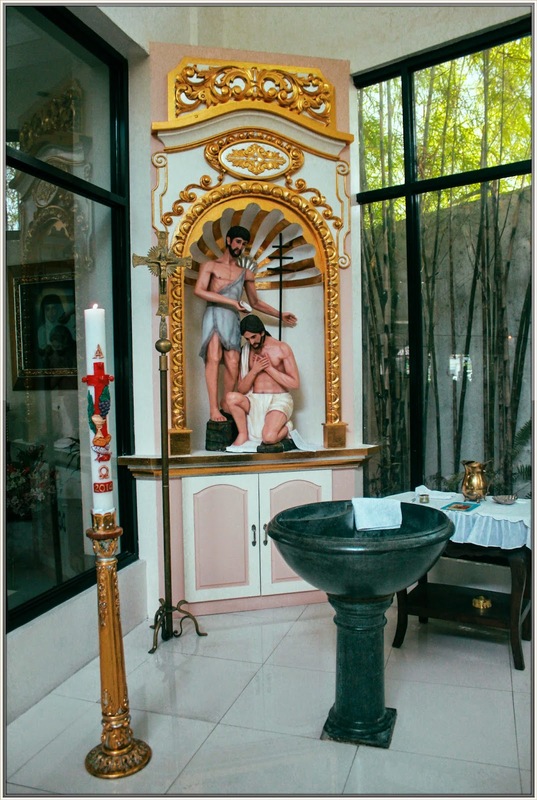 We wanted a solo baptism for a more solemn ceremony so we pay for a special rate. There is no hassle in reservation, just call their office, check if your prefer date and time is available and your requirements are complete, they can book you right away. I’m so lucky that they accommodate us on our prefer date and time. Fully booked kasi sila on that day (April 26, Saturday) and siningit lang kami since dun kami kinasal. Thank goodness! The reception was held at Max’s Jupiter since we are looking for value for money, right venue and scrumptious food - Max Restaurant has it all. They will take the worry away from you by taking care of your celebration. 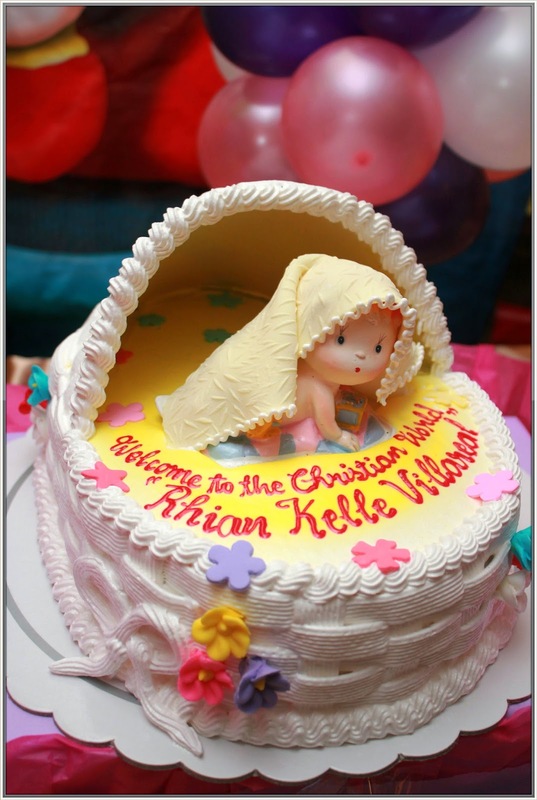 They offer complete yet very affordable baptismal packages for you to choose from. Yummy Theme Cake baked by Max’s Corner Bakery. 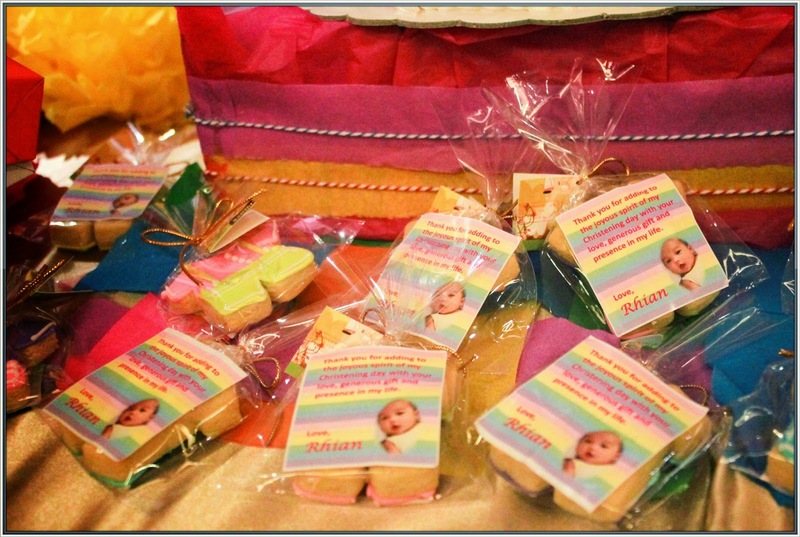 The package also includes cookies from Baked by Max’s restaurant which was given away to guests. (I put my DIY thank you card instead). The amenities were already prepared when we came 30 minutes before the reception started. The food was unquestionably delicious and they served it on time. I love the staff because they were courteous, quick to serve and very accommodating. I also request one of the staffs to facilitate a short program for us. 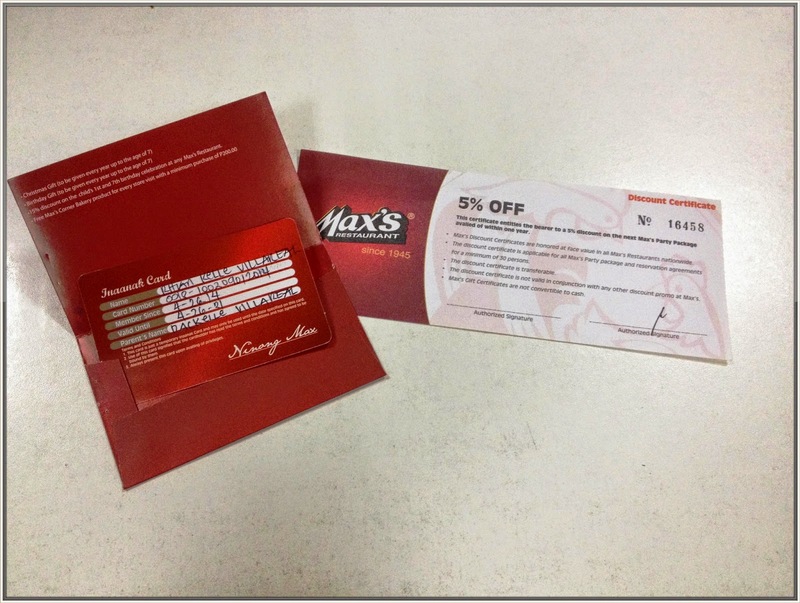 The staff gave us 5% Off Discount Certificate on the next Max’s Party Package availed of within one year. Since this is the 1st major event of our baby love, we wanted the day to be special, so we bought the perfect cream dress for Rhian. 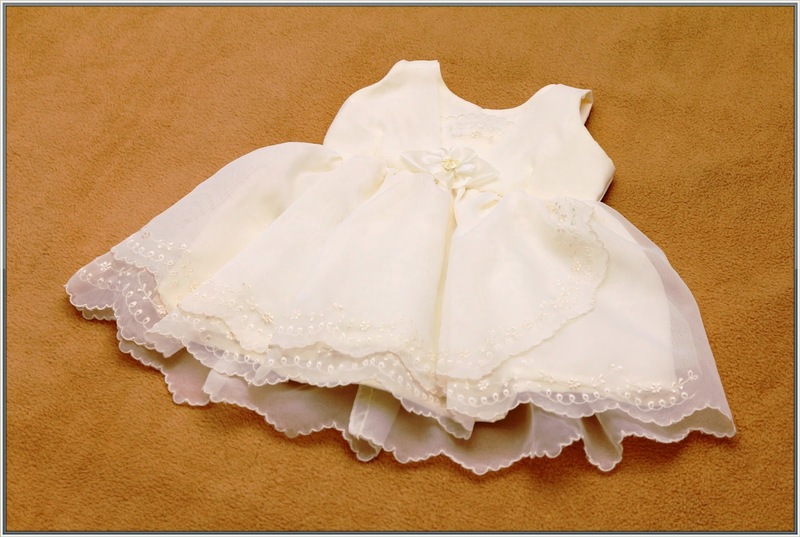 We went in different store in Makati just to look for the BEST dress for our little one, and finally after a week we were able to purchase the baptismal gown that will fit our standards. 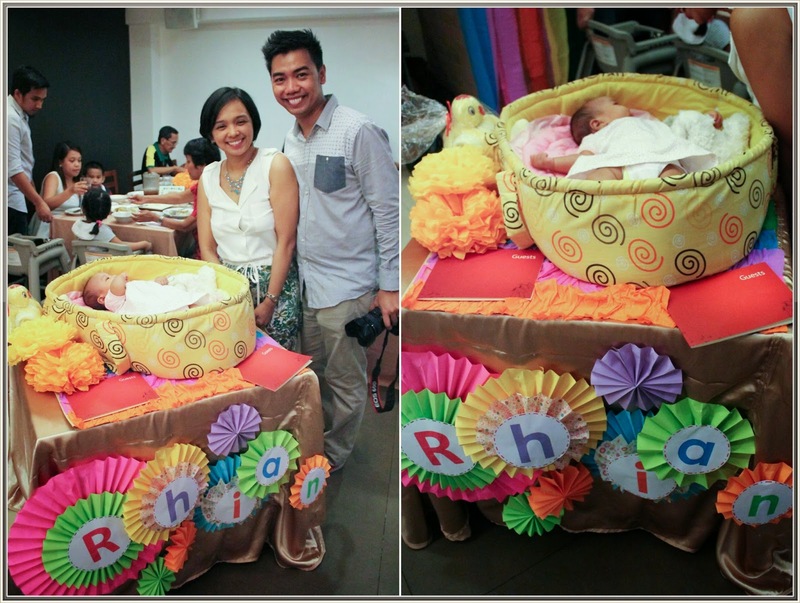 It comes with the cute headband and we just add the baptismal cap and shoes. We purchased two sets of clothes for Rhian to be use at the reception. One is the Hush-Hush (at SM Makati) and the other one is a pair shirt and leggings at Cotton-On Baby. 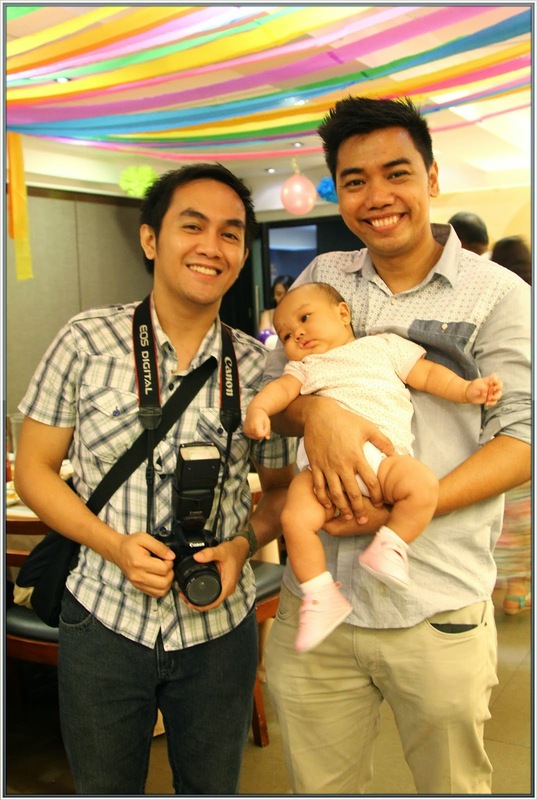 Ian was fortunate to have lots of friends who love photography and one of them is Drin Amorin – Ian’s Officemate. I got to meet him several times and I found his photographs interesting. Two weeks after the event, finally we got the DVD. Yehey! Other than our photobooth business, we also have cupcake business but since I Rhian came into our lives, baking is now out of my priority. 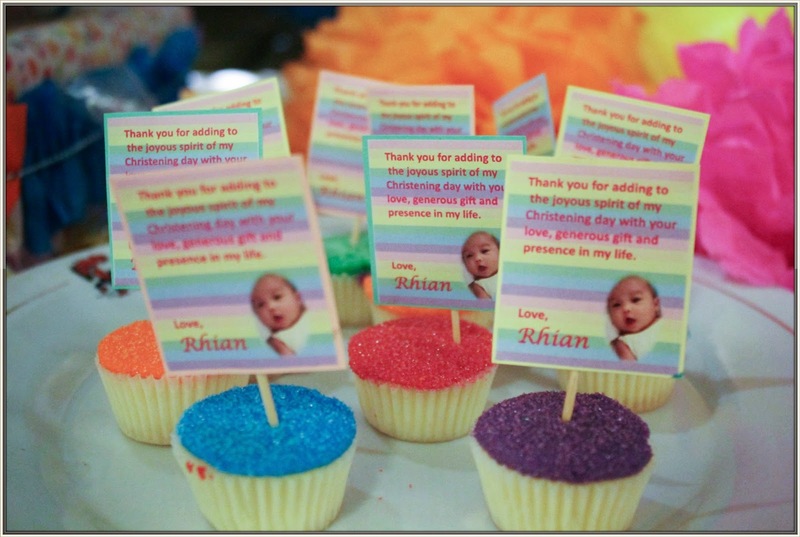 My first plan was to bake cupcakes for Rhian’s give aways since I really wanted to be a hands-on mom but again, I have no time to do it so we decided to just order online. 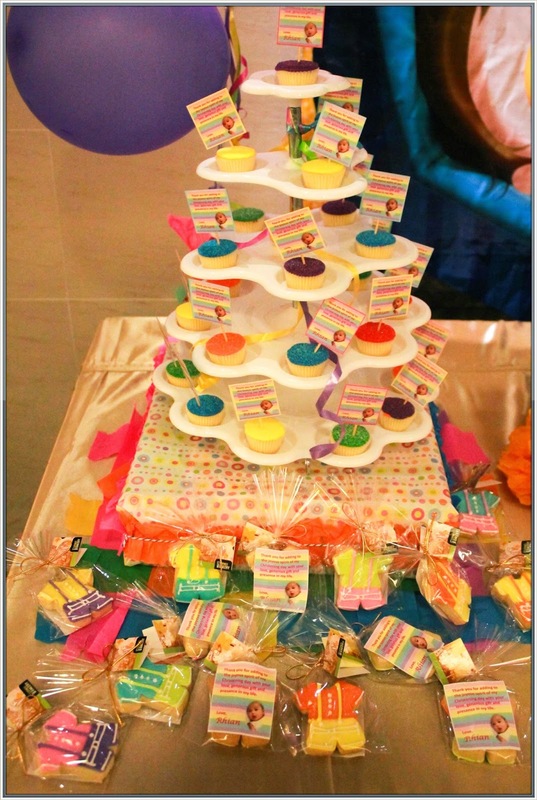 When my husband browses his FB, I saw Mel’s cupcakes creations and got amazed with her products. Basta naganadahan ako sa mga gawa nya so what I did was I follow her in Instagram and FB page and look for other designs. Mel is such a lovely lady, she accommodate my inquiry even if it is already midnight. O db halos magka chat pa kami ng ganon oras para lang kulitin ko sya sa order ko. Haha. Anyway, ordered Rainbow Mini Cupcakes with Plain Swiss Meringue Buttercream. 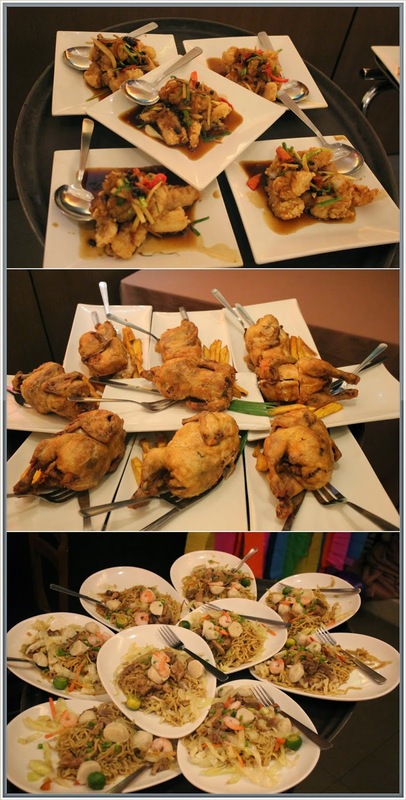 (36 pcs – Php 450.00) Our guests love it, instead na tig iisa lang sila, naging tig 2 and tig 3 dahil sa sarap. Mini Colorful Cupcakes were hit by the kids and adult as well. Hihi. 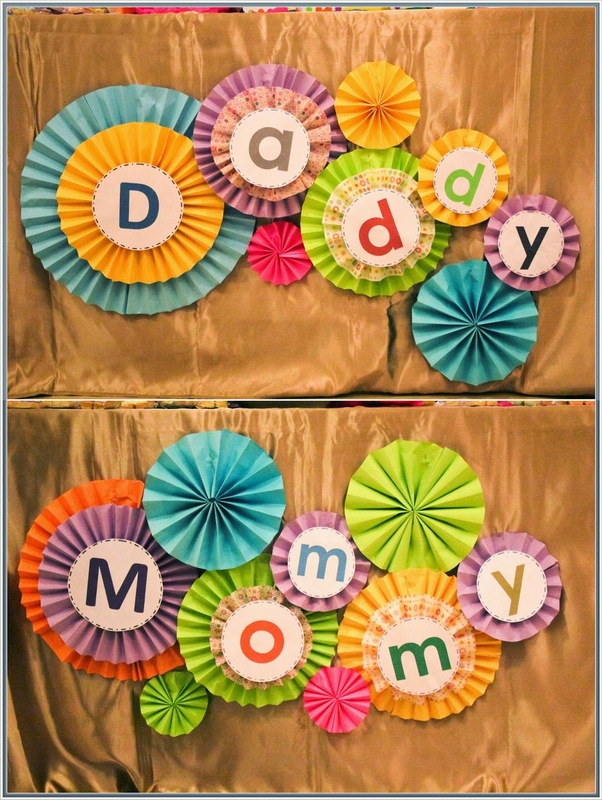 We want something more special and unique souvenirs for the god parents so I search for the best supplier that can provide us with our standards. Until I saw a post at Instagram which offers hand-crafted, unique and most creative designs for souvenirs. As I browse her account, I got amazed with what I saw. Ang ganda ng mga products nya and very unique. I sent her a sms/viber inquiry and discuss about my order. Happily, she replied immediately and entertains my query. 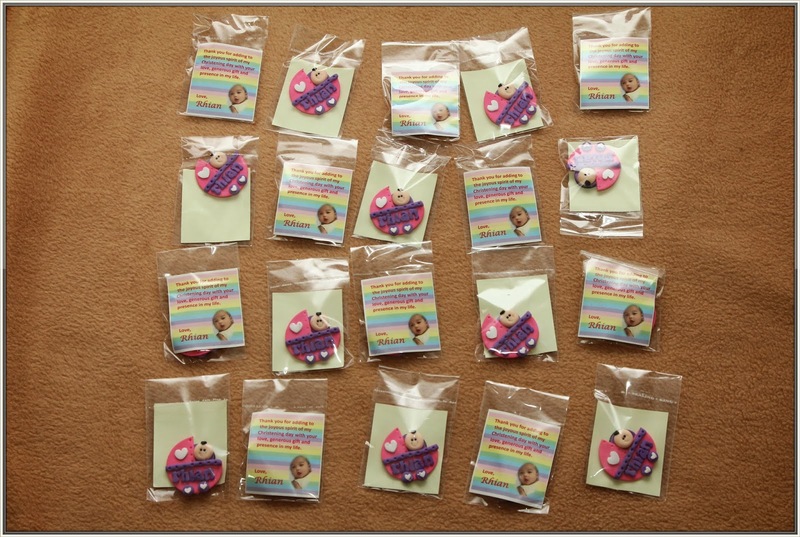 We order for 20 pcs of personalized ref magnet. I use my personalized label for consistency. Like a photographer, hiring a stylist was also part of our plan because I really wanted to dress the venue up a little since it looked too plain. 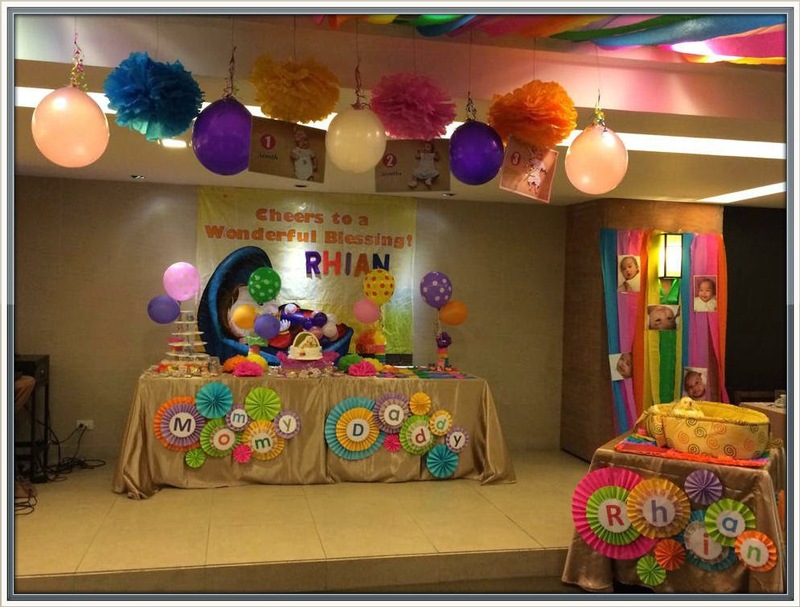 The reception was styled by Gen (Ian’s Officemate), I really want the room to be themed, colorful and dainty. 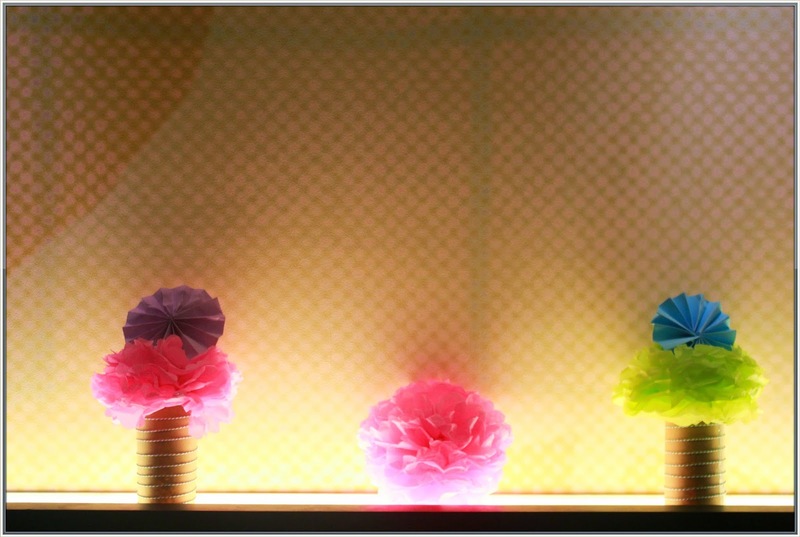 I told her that I wanted a colorful/rainbow motif (If you notice, I've always liked using unique and colorful concepts for my events), I want also that the event room has a homey ambiance so that the guests will be able to relax and be comfortable. After 3 consecutive meetings at home, finally Gen come up with a bright ideas. Look what she did at the reception area. 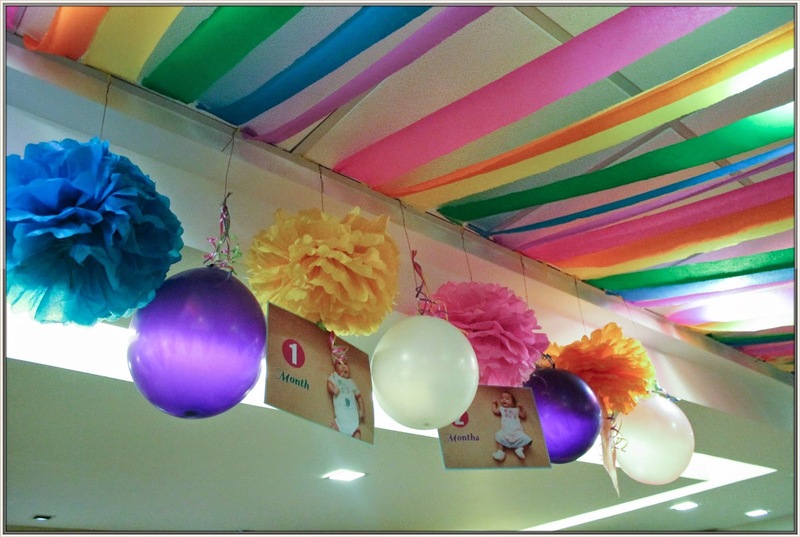 Complete with balloons, ceiling decors and balloon centerpieces. 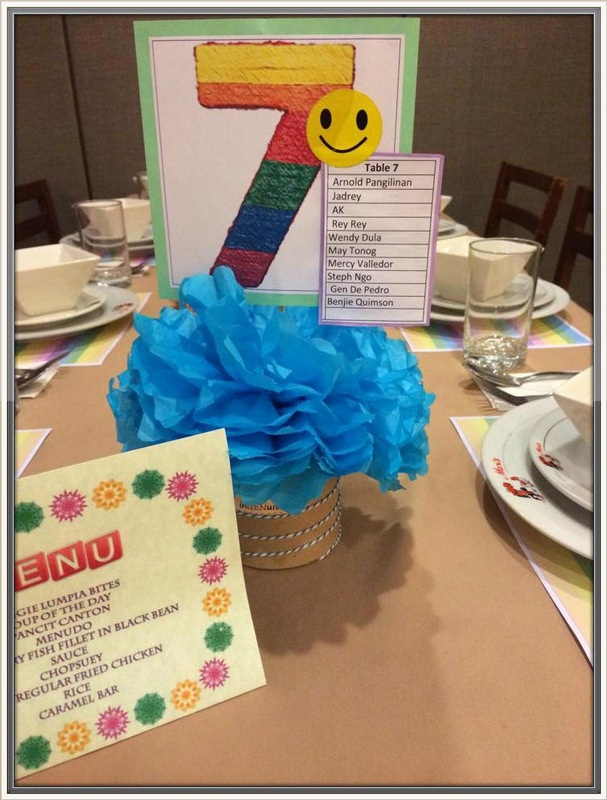 These pompoms with table number, Menu Card and names served as additional centerpiece decorations. Gen is the only one who arranged everything at the place, she really a gem for me and I would love/choose her again for other events in the near future. 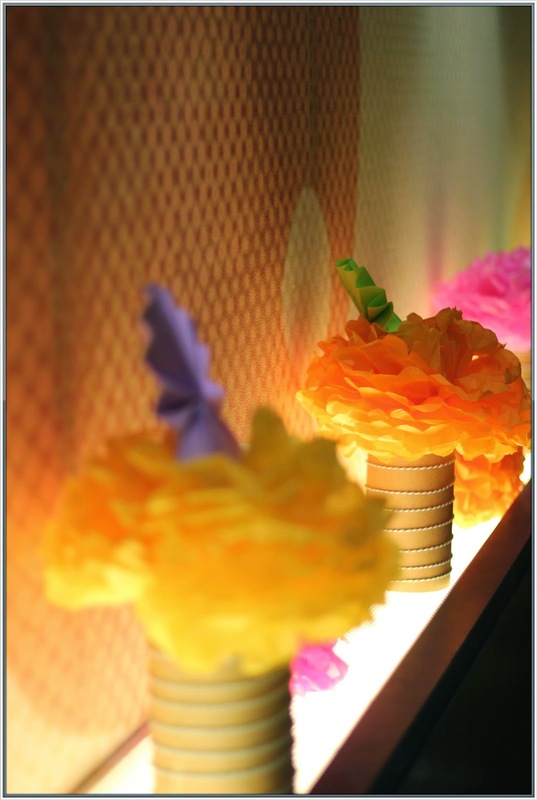 Some of our guests told me that they love the place, it’s so colorful and very beautiful set-up. Well, mahilig kasi makulay na bagay ang anak ko kaya I give Gen, two thumbs up! Good Job Gen! 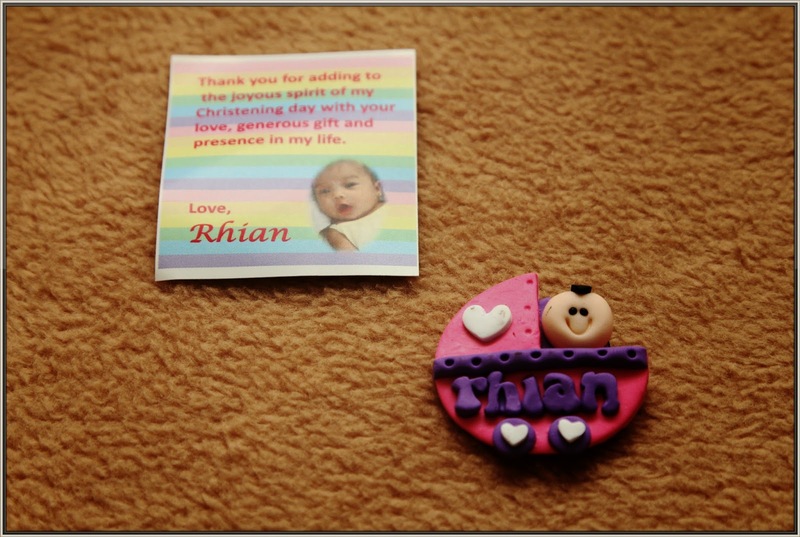 Rhian's Christening turned out to be memorable and awesome. So that’s it pancit! Whew! That was a pretty long post! 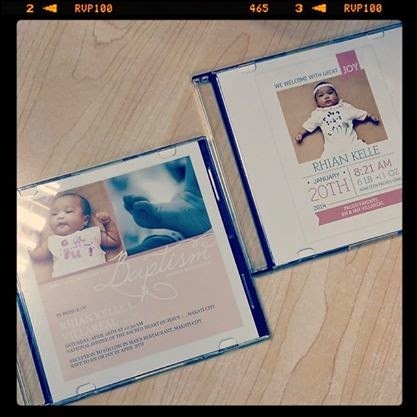 I hope this information was useful and would help you plan your own child’s baptism. Always remember guys, a celebration of life event doesn't have to be grand, what’s important is that you celebrate it with your family and friends. I would appreciate any feedback and if you have any questions, feel free to ask! ^_^ I will post our DIY stuffs within this week. Note: The decors look much better upfront than in pictures.